throw a Back to School dinner for my family. I usually start with a theme. Our theme this year is Attitude. 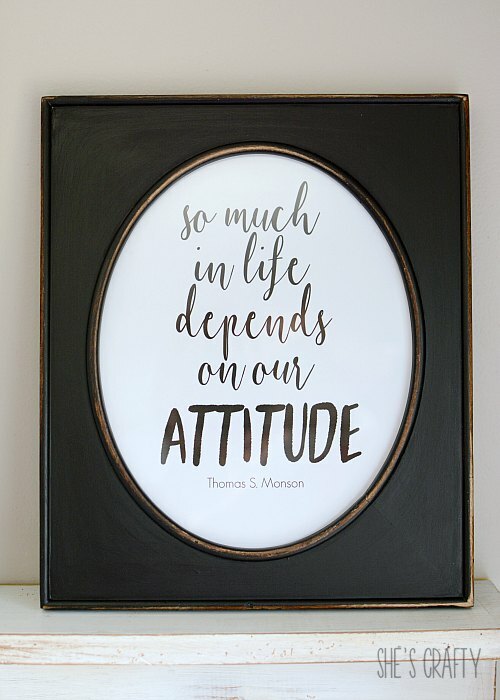 Get a free printable of the quote here. 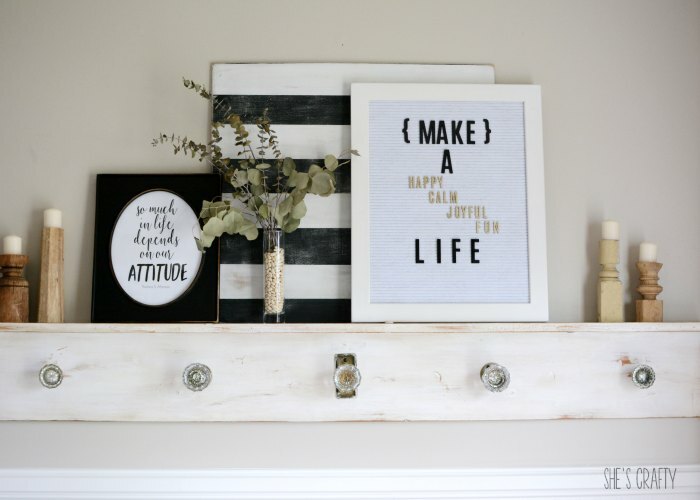 I love finding any excuse I can to decorate! Life is so much fun when we celebrate the little things! striped sign I use a lot! 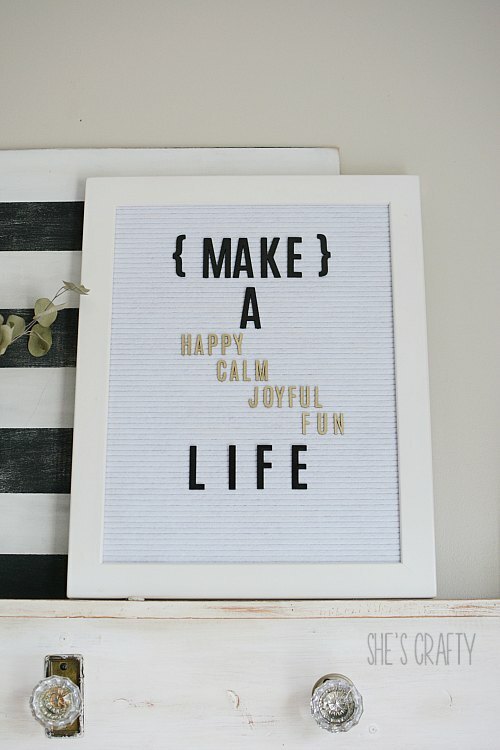 Then I layered on my quote in the chalk paint frame. I added some dried eucalyptus and my fave spindle candles. to write another message about our attitude and choices! I will receive a small percentage of the sale from amazon. It is no additional cost to you. I believe that we can each make the life we want. I used some supplies I had on hand to decorate the table. I spray painted colorful magnetic letters in black and white. I then layered them in a glass jar. I clipped them to wooden dowels with binder clips. sitting on top of books. What's more school themed than books? underneath a basic white plate. with a small bowl of letter cookies (*similar here) on top. large binder clip with a small copy of the quote. My kids were able to keep their quote and hopefully refer back to it! 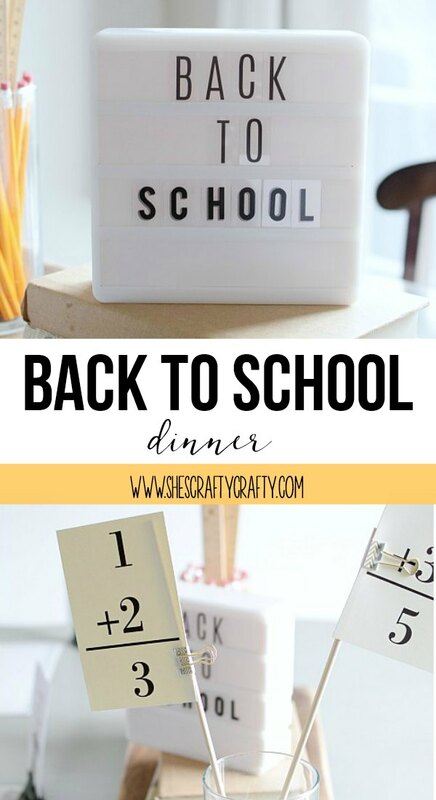 Do you throw a back to school dinner? 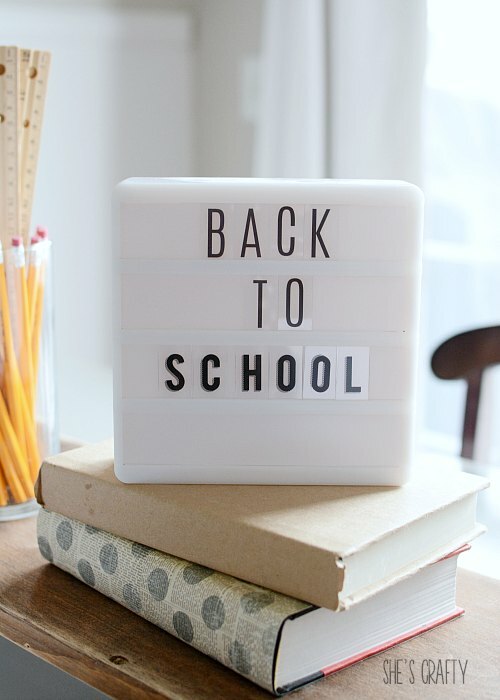 I can't believe it's back to school already! It feel like just yesterday summer started! 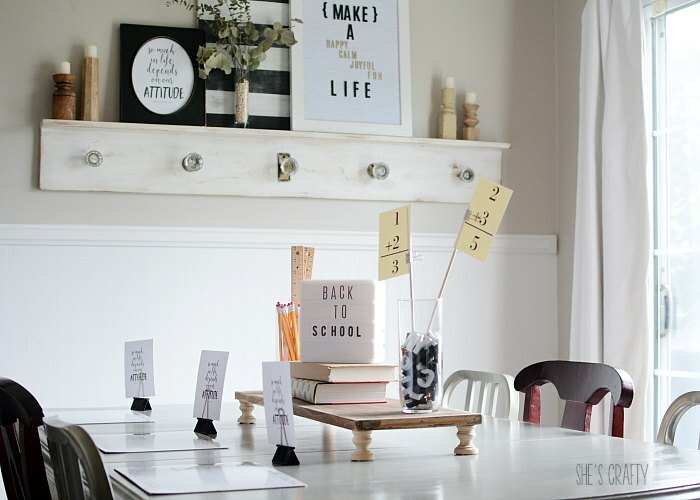 I love these ideas and they seem like something I could actually do! Thanks Meli! Yes- the summer went by incredibly fast! 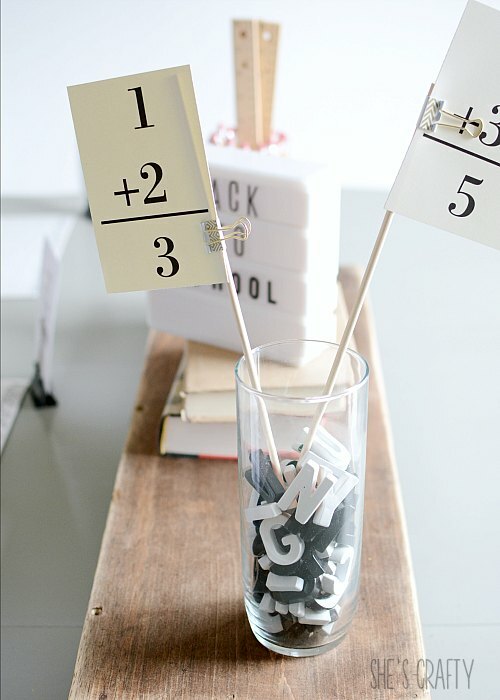 I love this idea and I love all of the special touches you incorporated! 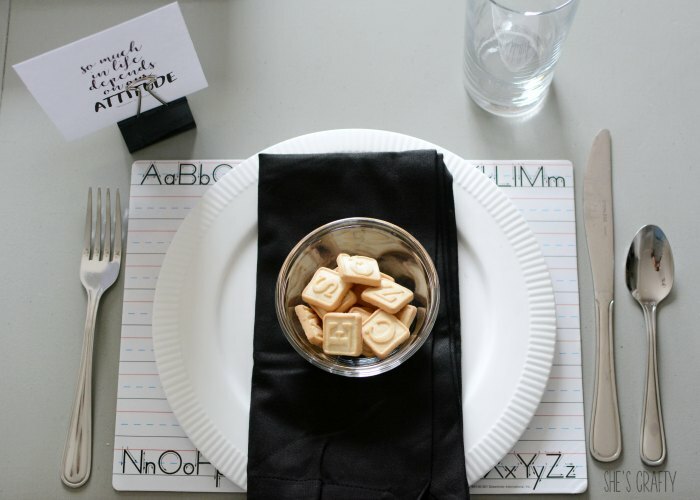 Such a great idea to use the dry erase board under your plates! Thank you Justine! Have a great day! 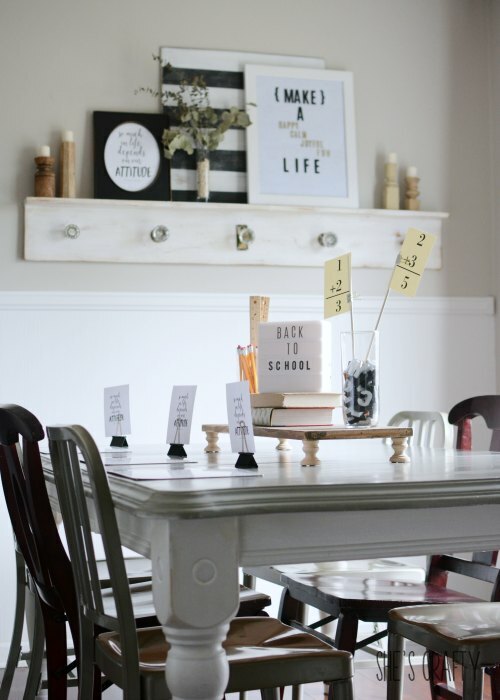 I love the idea of picking a theme and doing a back to school dinner. I also love all your decor and color scheme!! Your theme of ATTITUDE is great, too. 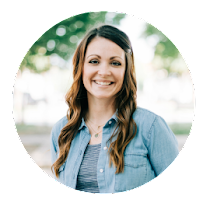 Your family is going to have a fantastic year. Girl, this is AMAZING!!! The DETAILS THO!!!!!! Such a cute way to kick off the year! Woah nice pictures. They give a very clean vibe. I don’t know how else to put it. And those math things made me sort of nostalgic for school. I love this idea and that quote would be perfect for my family this year as well. 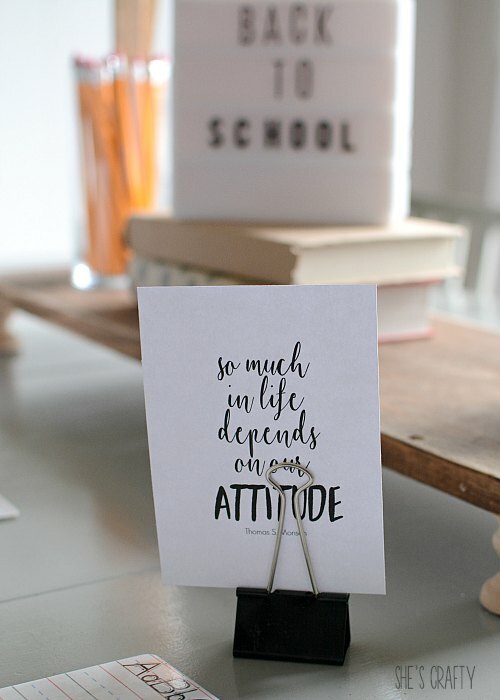 I told my 15 year old daughter, just the other day, that she needs to have a better attitude towards school. If she can't find sunshine there, then maybe she can be the sunshine for others and it will spread. I am the same way in that I will find any excuse to decorate! I love the quote on the letter board as well!